Whoever coined the phrase a "picture is worth a thousand words" couldn't have been more accurate. Statistics demonstrate that if one unaltered female and one unaltered male were to reproduce for 7 years and concurrently their offspring this one pair could produce 420,000 cats! YIKES!!!! 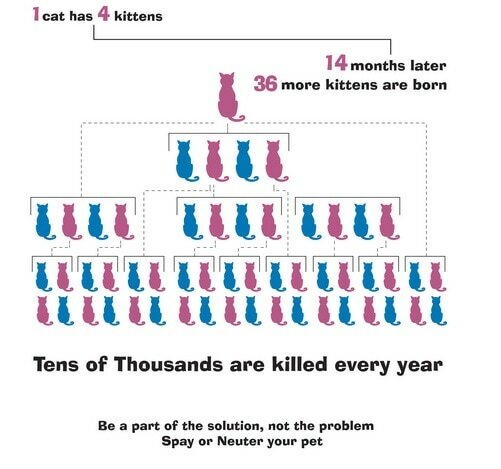 This is a national problem, the SOLUTION IS TRAP, NEUTER, RETURN AND MANAGE.